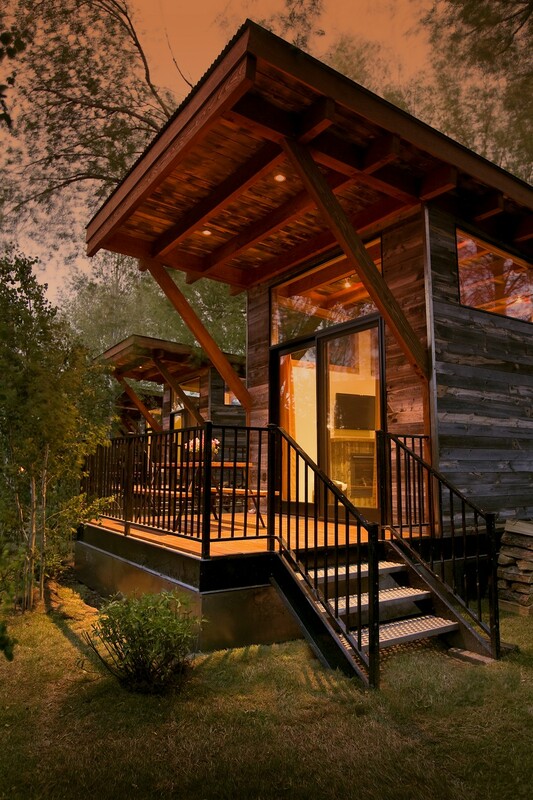 Cabins are, by definition, small shelters found in wild or remote areas and this makes them incredibly charming. 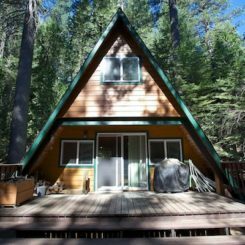 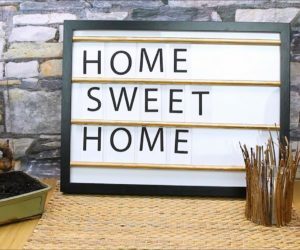 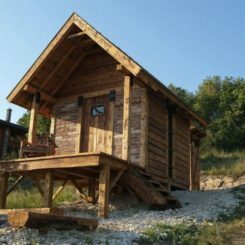 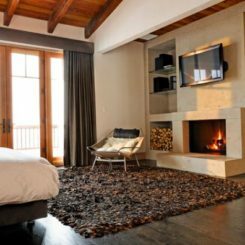 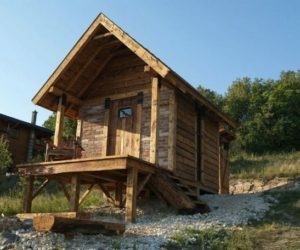 We often find ourselves attracted to these getaway cabin designs and we choose to spend our holidays and weekends there, far away from everything that we find so trivial and mundane. 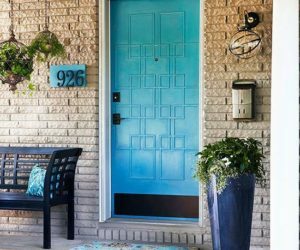 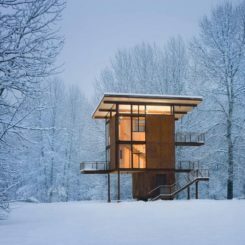 And, although cabins are not for everyone, we’re sure you can find at least a little bit of inspiration in these amazing designs. 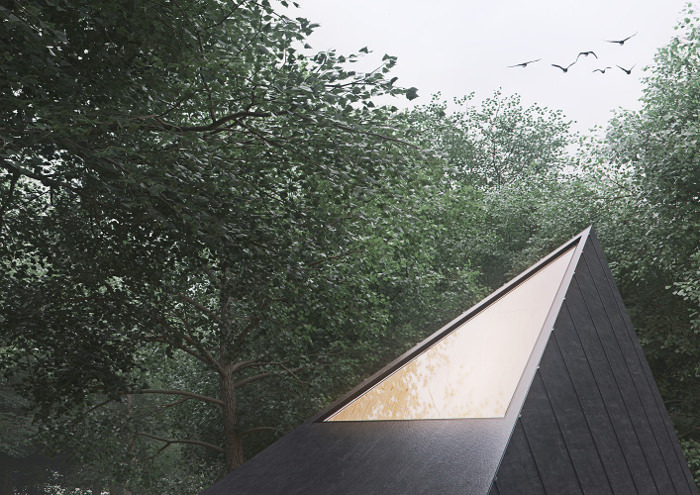 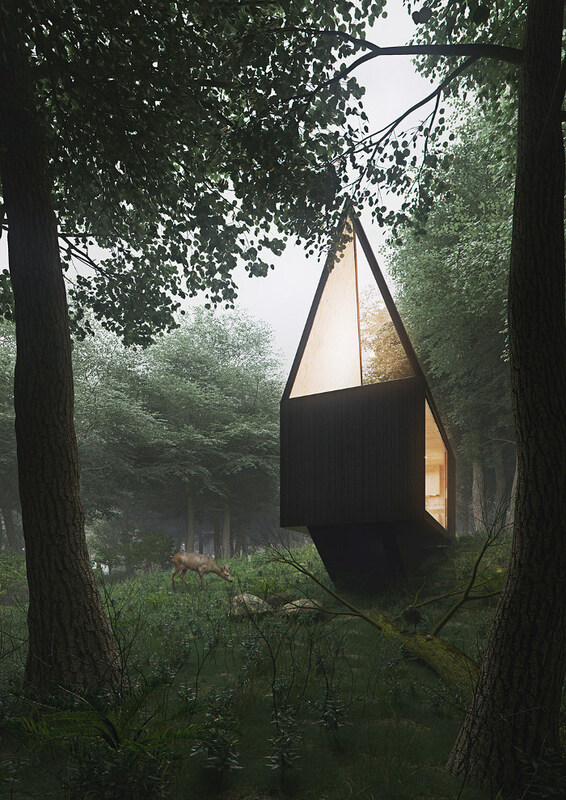 “Cabin” in the forest was the project of Tomek Michalski who envisioned it as an isolated capsule, a compact a frame shelter where one can disconnect from the virtual world and reconnect with nature. 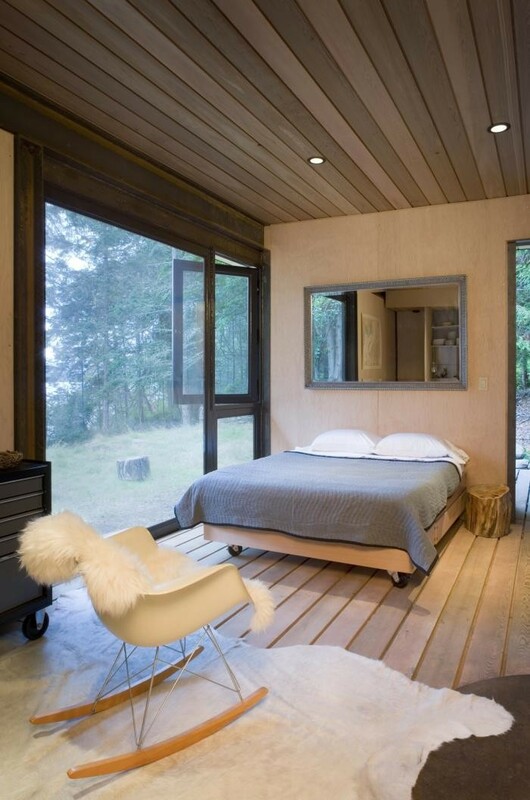 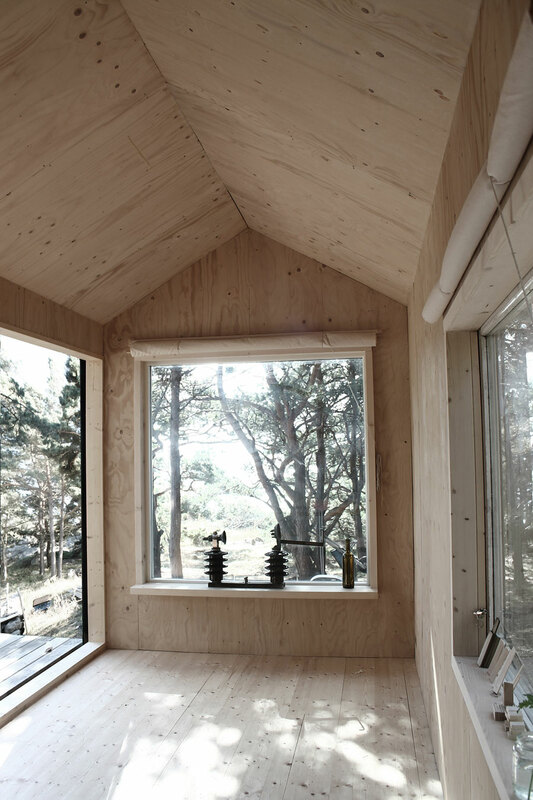 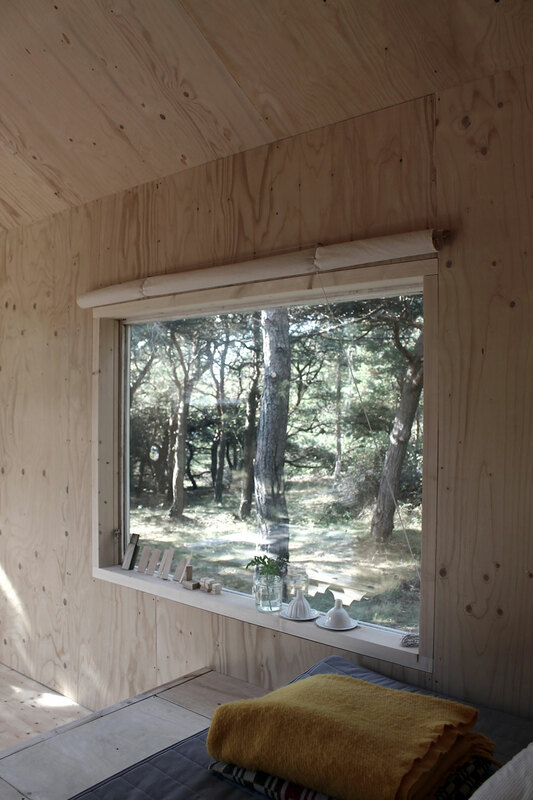 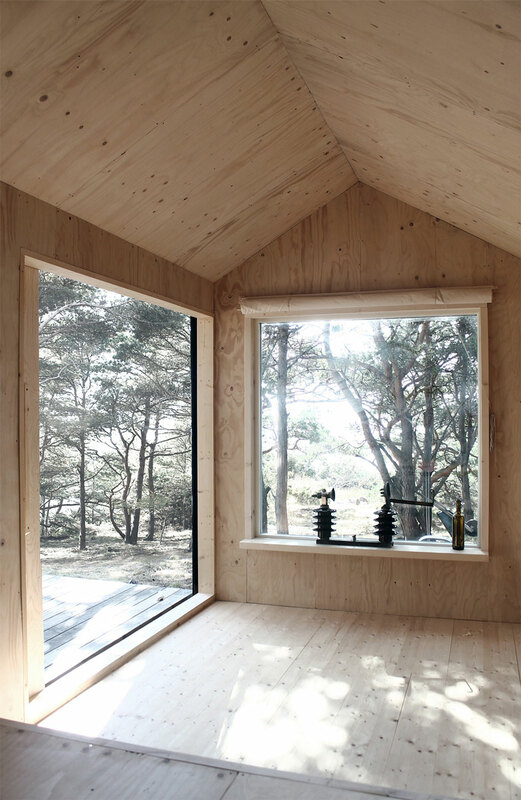 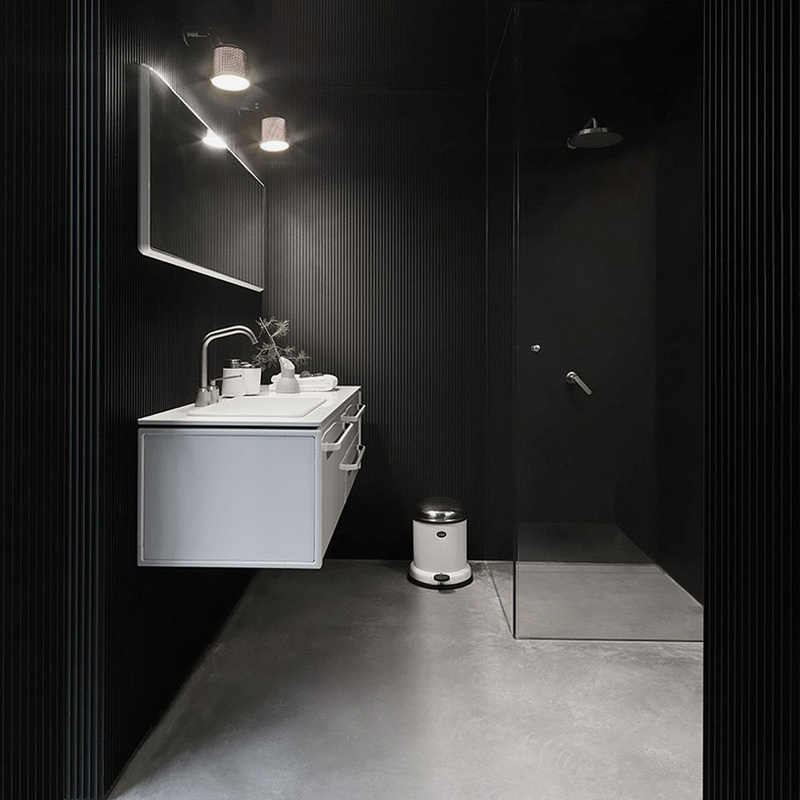 Both the cabin and its interior were designed to have minimal impact on the surroundings and the site. 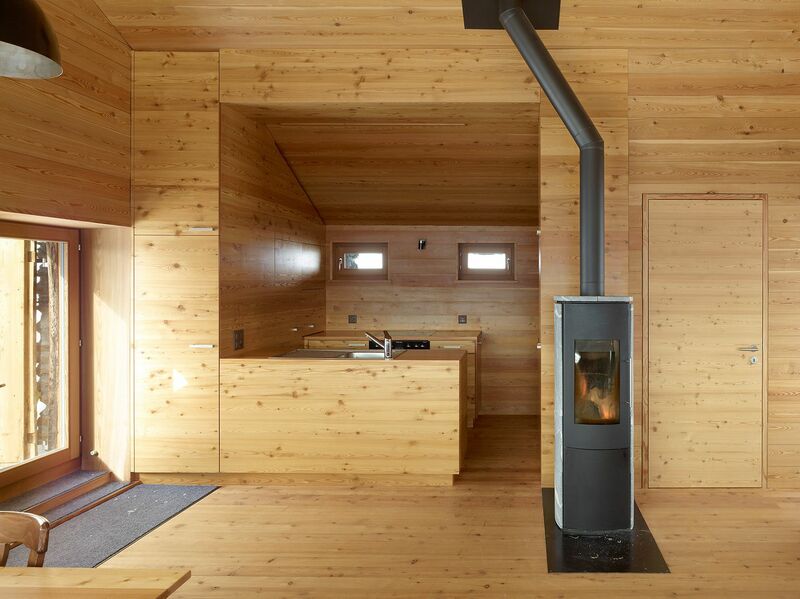 There’s a really strong contrast between the cold dark forest and the warm interior of the cabin where all the wood showcases its beautiful grain for everyone to see. 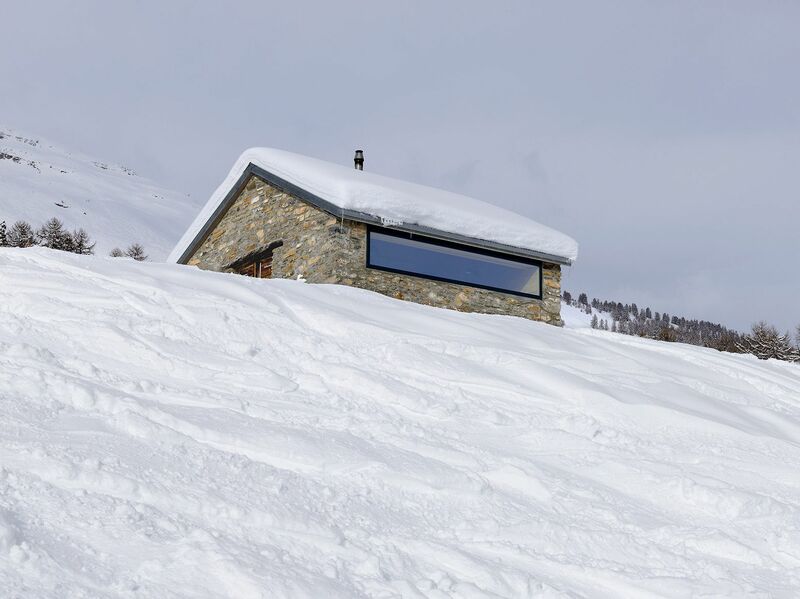 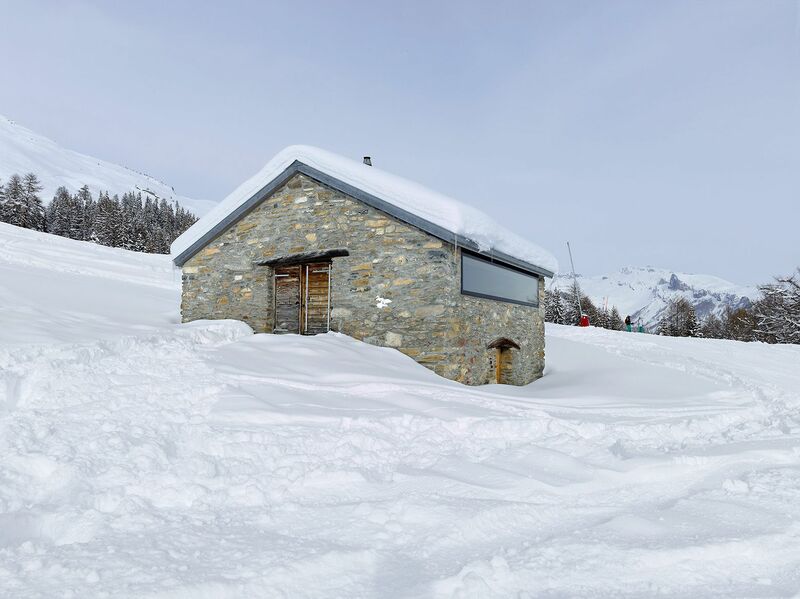 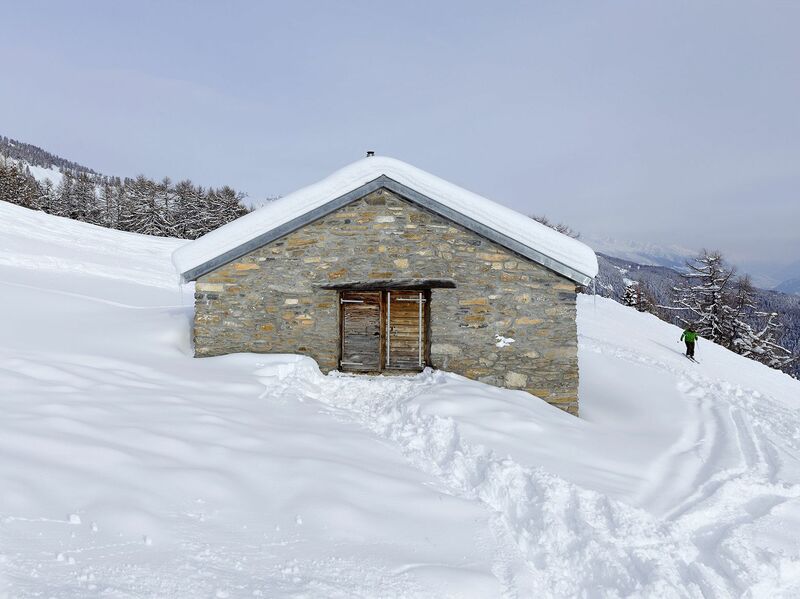 Savioz Fabrizzi Architectes redesigned an 1878 barn in a secluded area 1760 meters above sea level in Anzere, Switzerland. 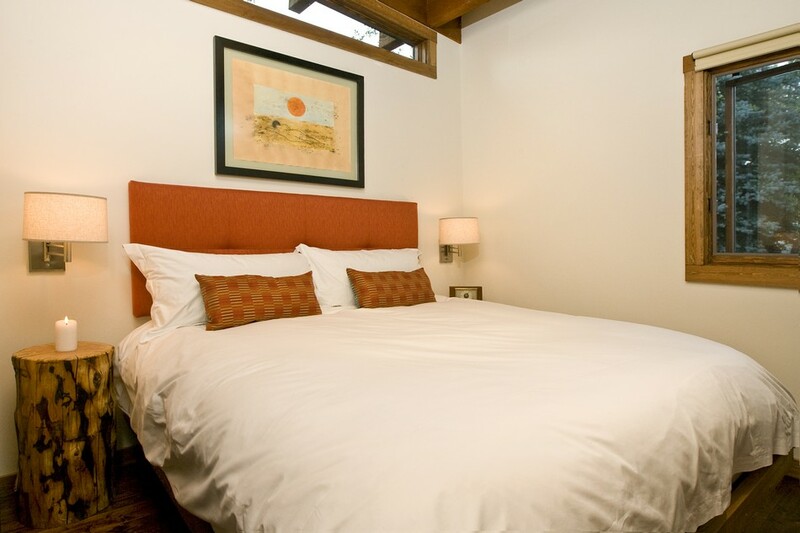 The building kept its character over the years despite the modifications and changes that were meant to improve its functionality and comfort. 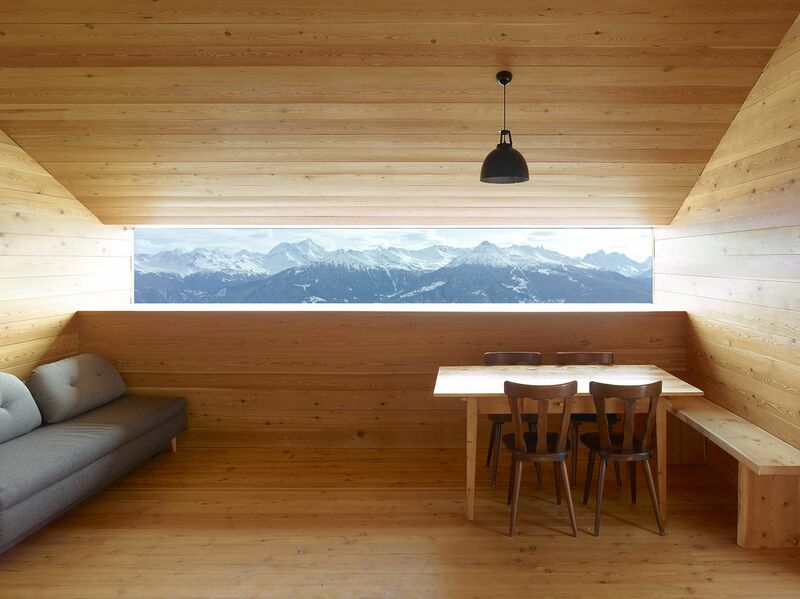 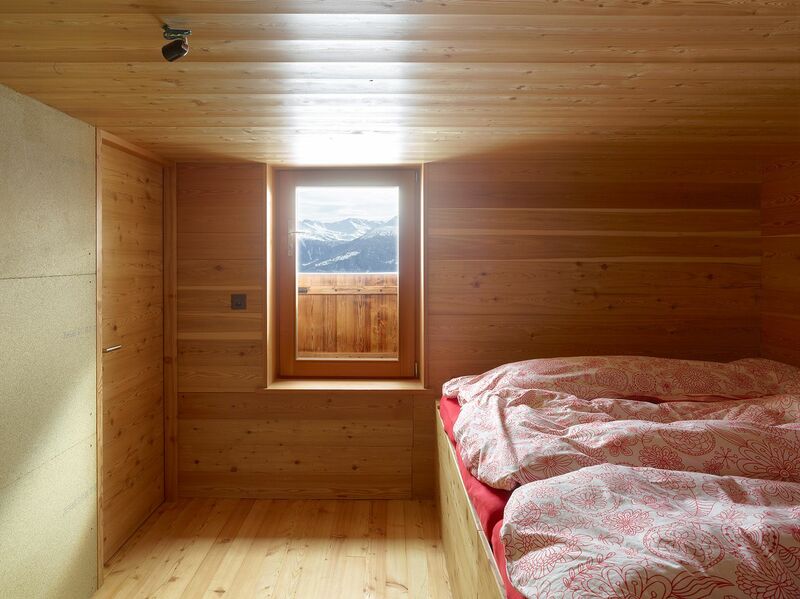 Sitting in an open area, the cabin offers amazing views of the Alps. 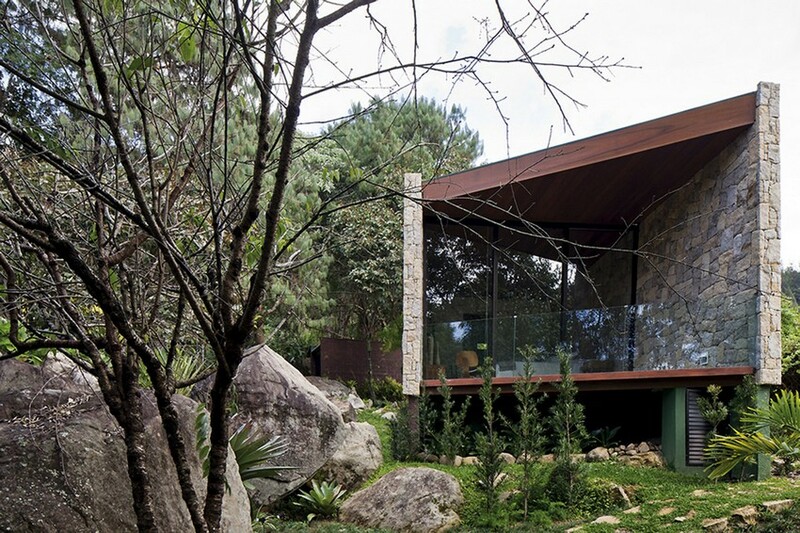 The rough stone facades protect it from the harsh climate. 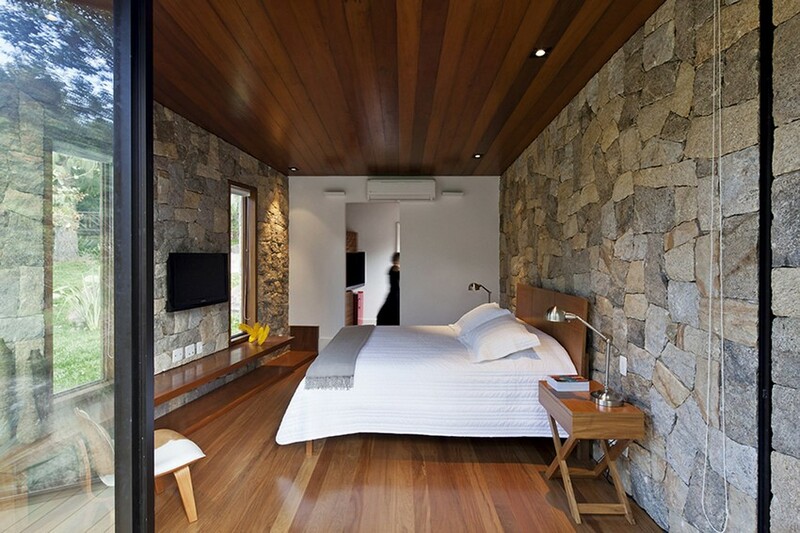 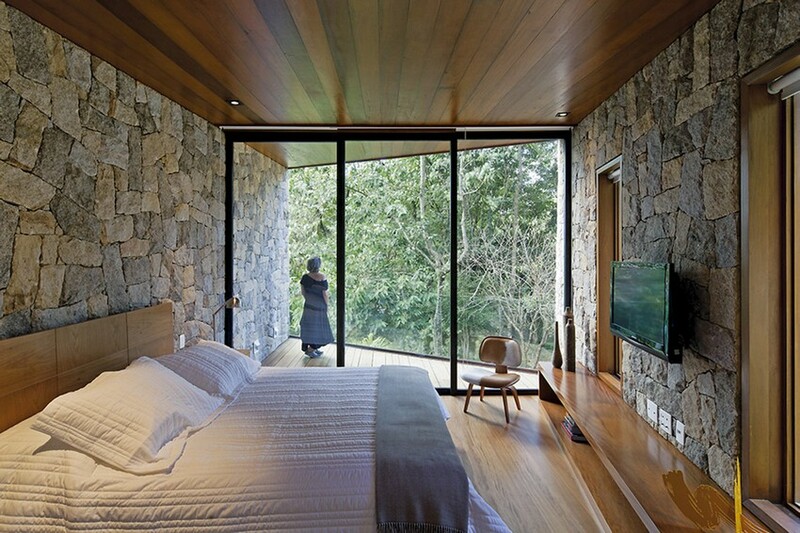 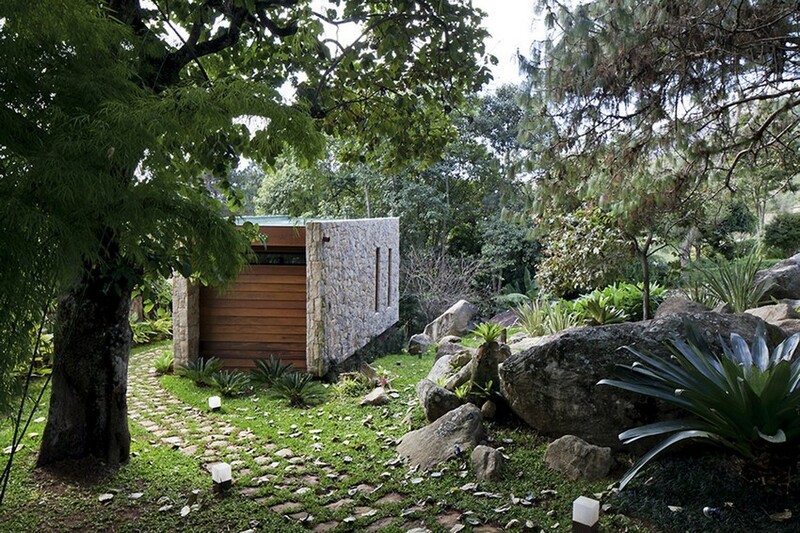 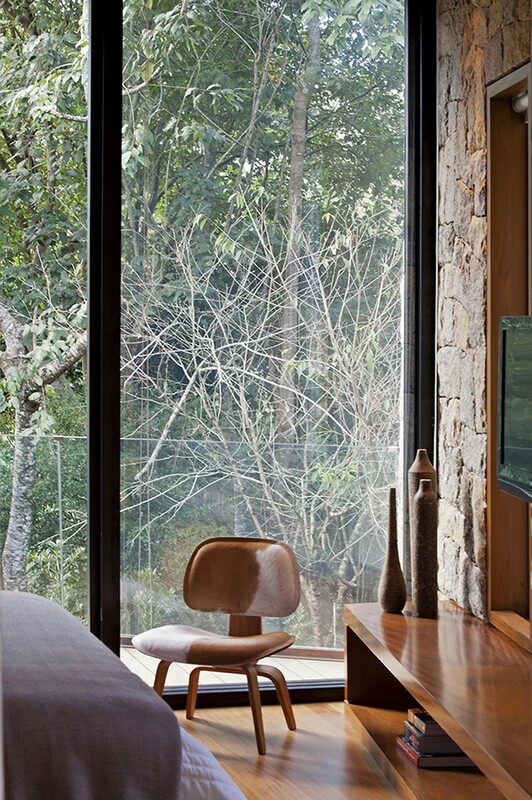 In Petropolis, Brazil, there’s a tiny cabin measuring only 31 square meters and with a cave-inspired design. 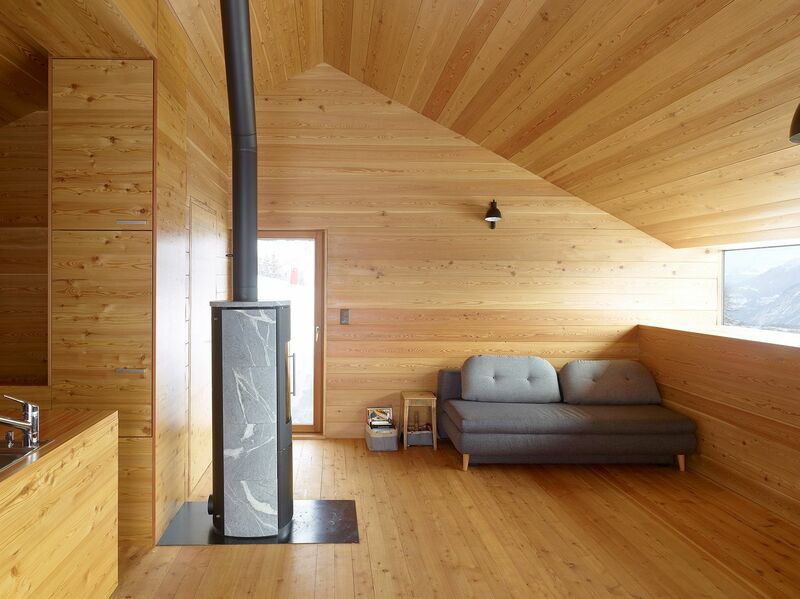 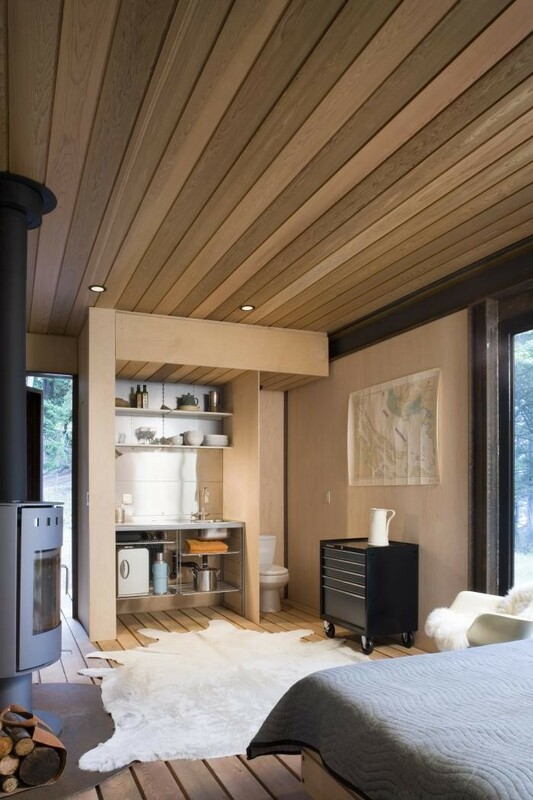 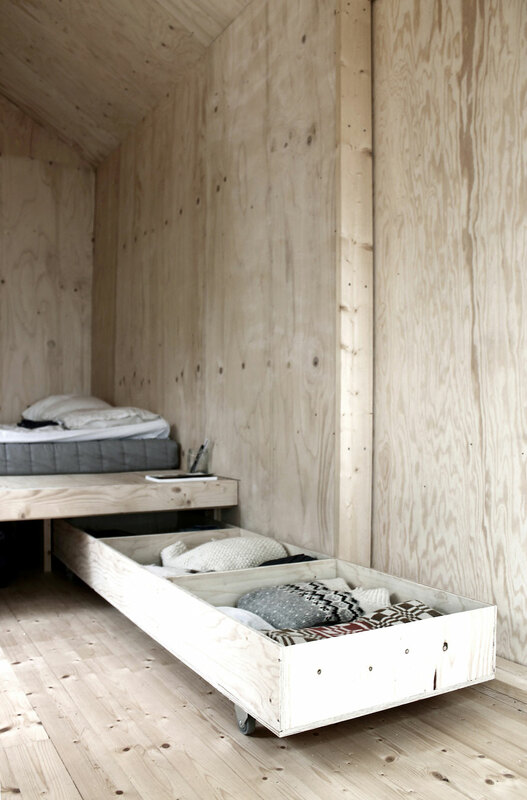 The cabin was built by the team at Architectare and it has a bedroom, a bathroom and a small pantry. 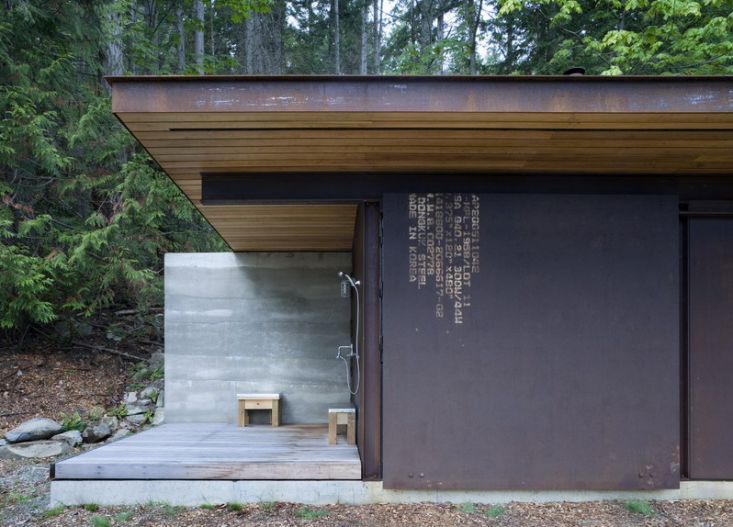 It has a steel frame and is clad with stones taken from the lot. 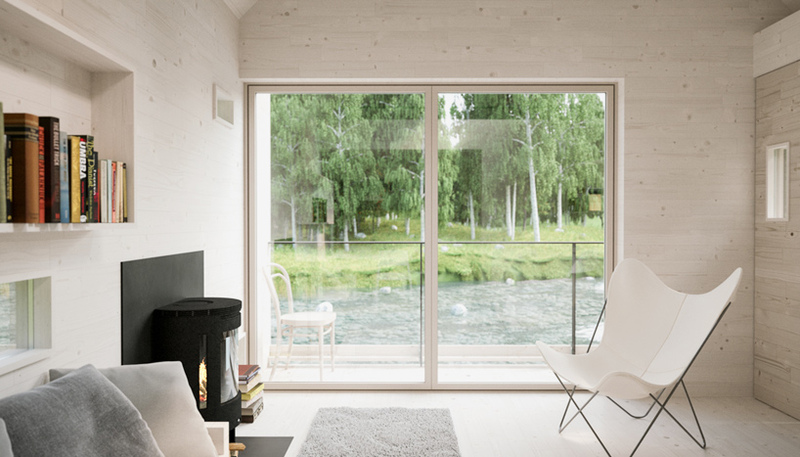 Although the cabin is small, the interior is very fresh and airy thanks to the floor-to-ceiling windows and overall simple design. 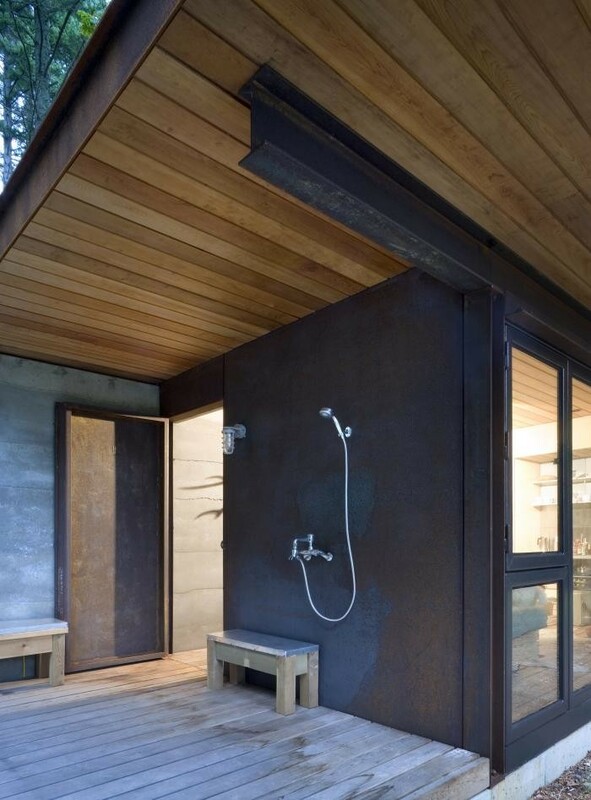 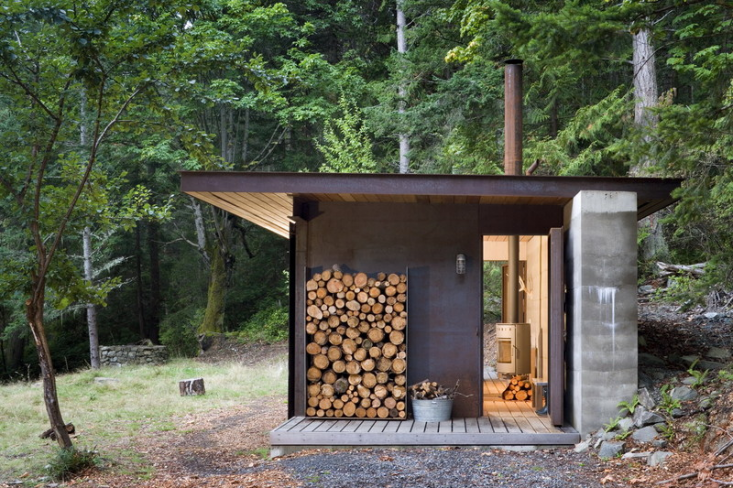 Seattle-based Olson Kundig Architects created the design for this tiny rustic cabin with walls wrapped in cedar panels, an outdoor shower and a single room inside. 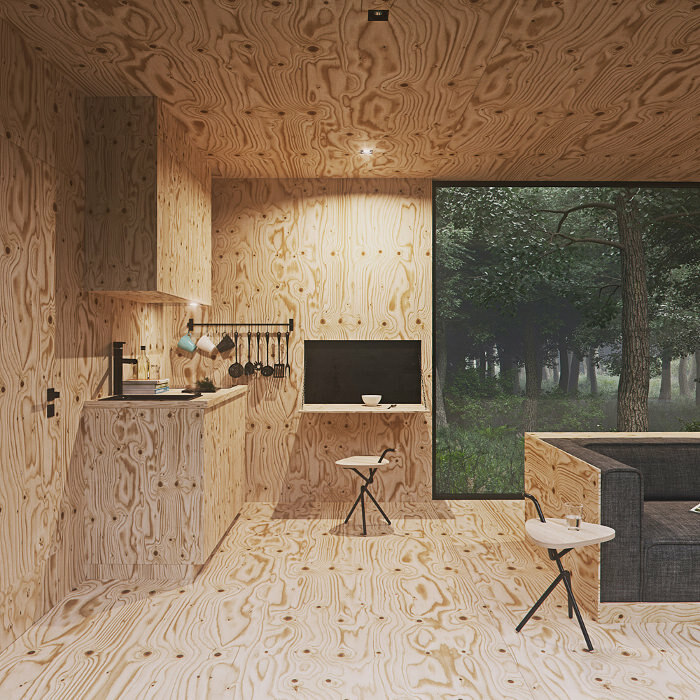 Indoors, it has a wood-burning stove, the floor and ceiling covered with wood panels and a tiny kitchen and an exposed toilet. 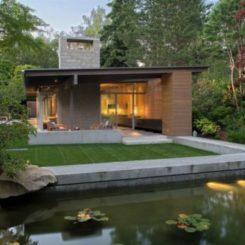 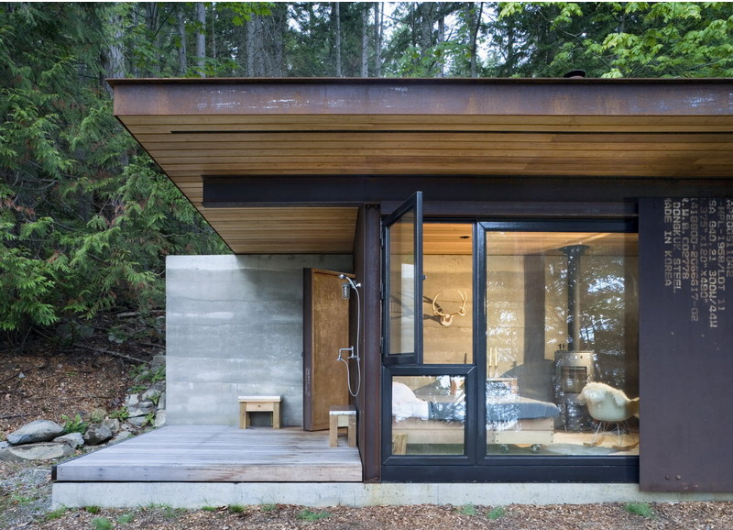 But privacy is not a big concern with this type of cabin designs, especially when they’re surrounded by tall trees and vegetation. 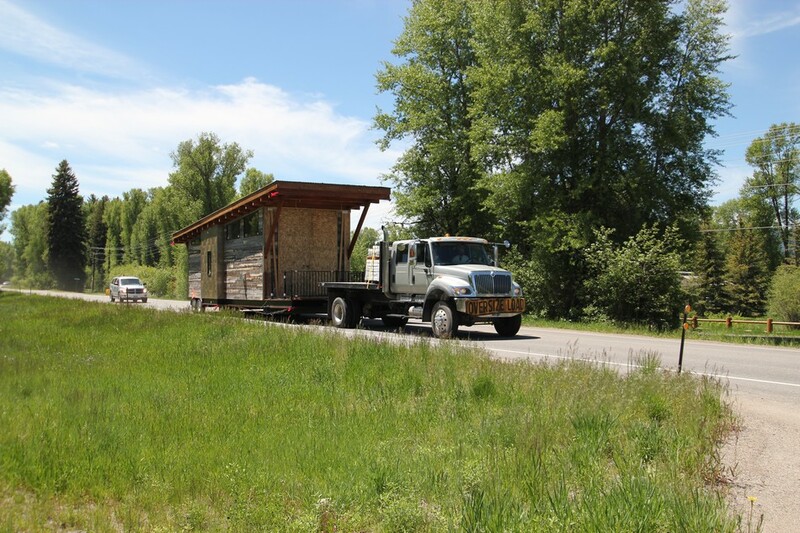 Wheelhaus is a company from Wyoming that offers various different types of cabins on wheels. 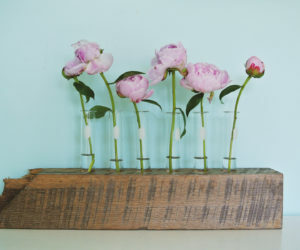 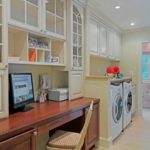 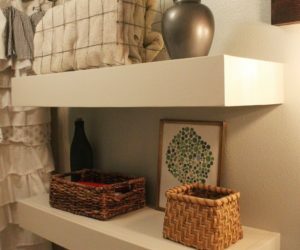 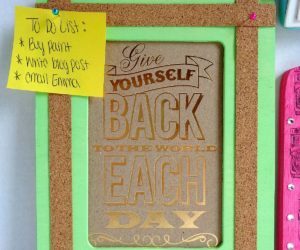 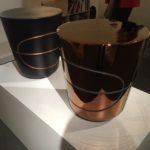 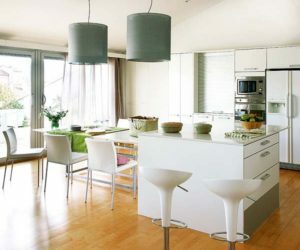 They’re a wonderful and affordable solution and the designs focus on space management and durability. 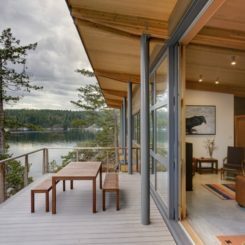 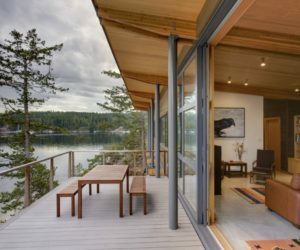 They have large windows that let in natural light while maintaining privacy, timber frames and outdoor spaces. 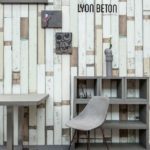 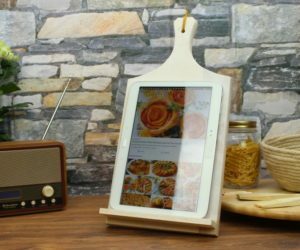 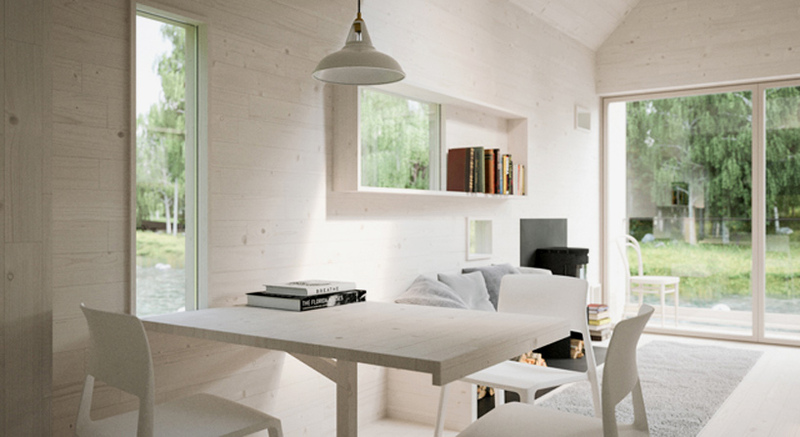 The cabin furniture is simple but elegant, functional and stylish. 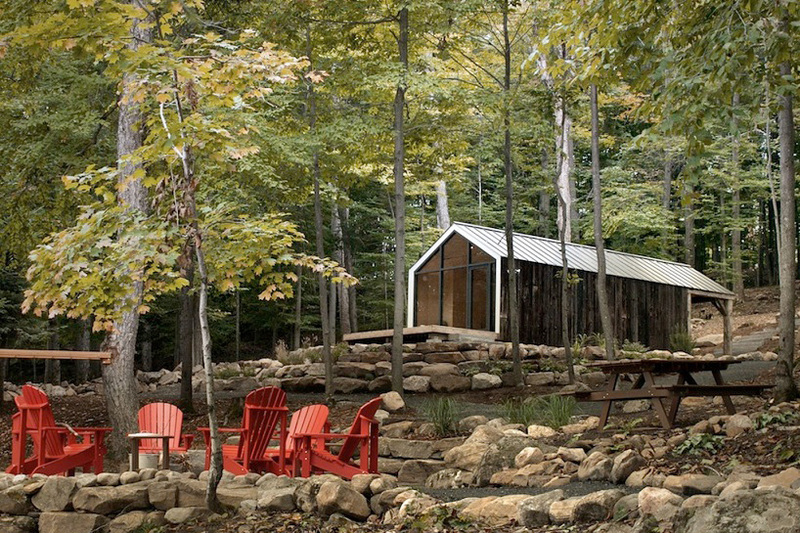 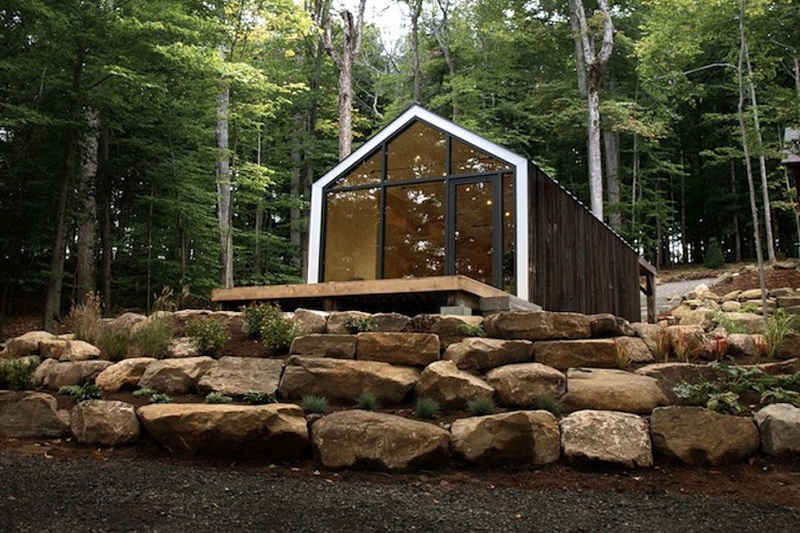 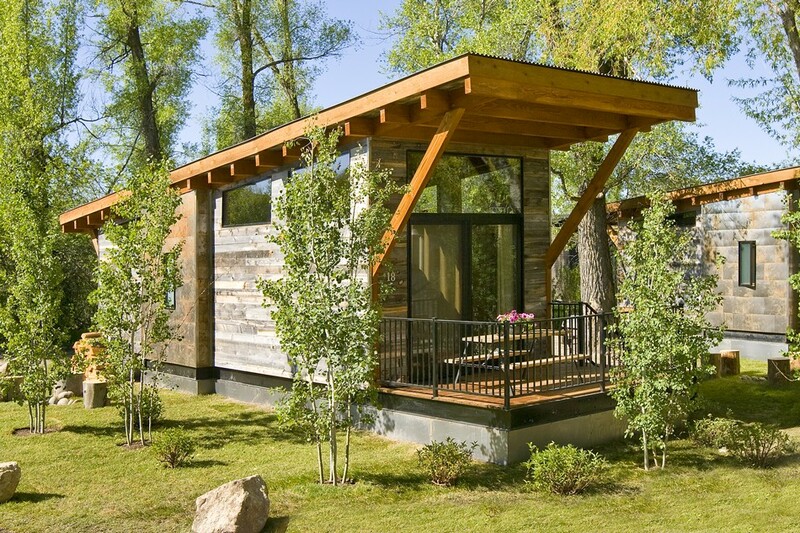 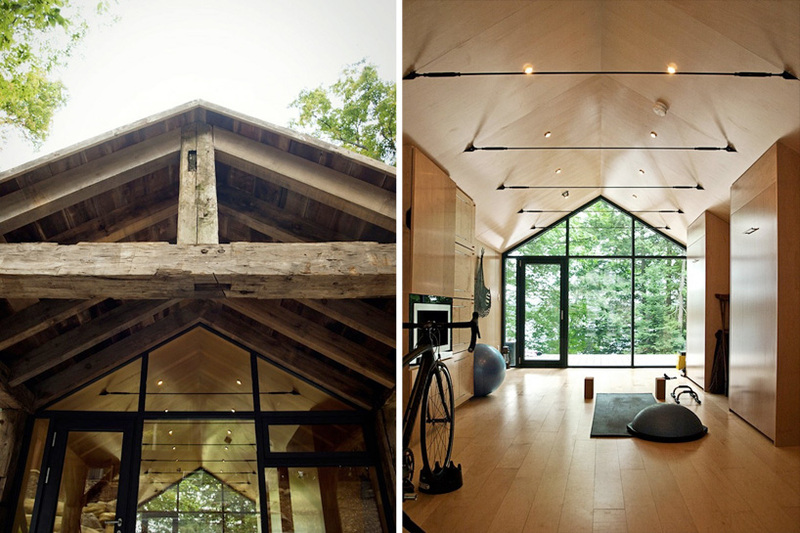 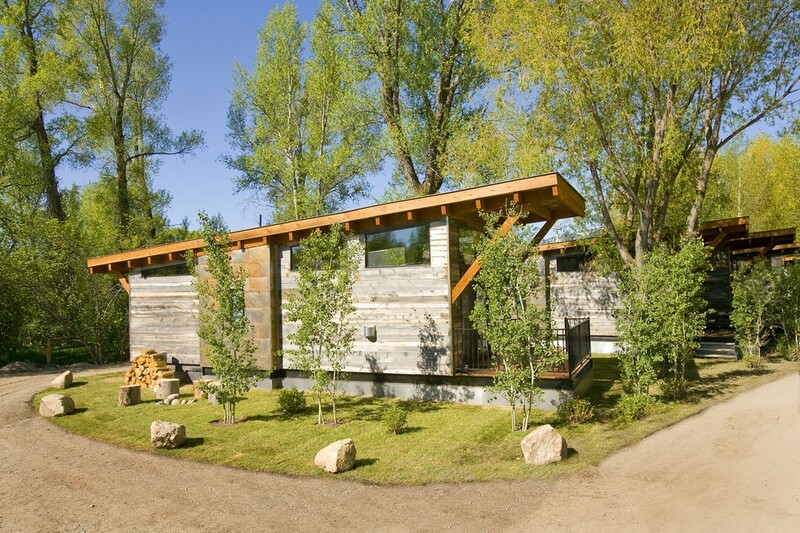 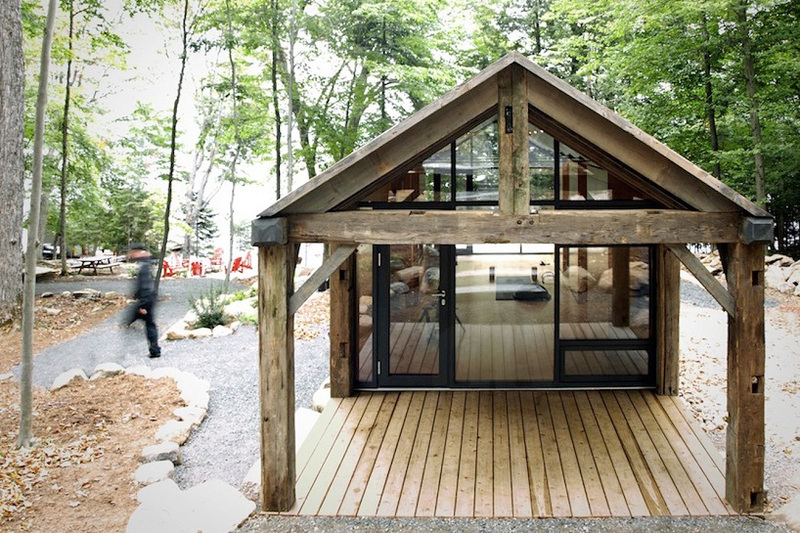 The Bunkie is a collaborative project between BLDG workshop and 608 design. 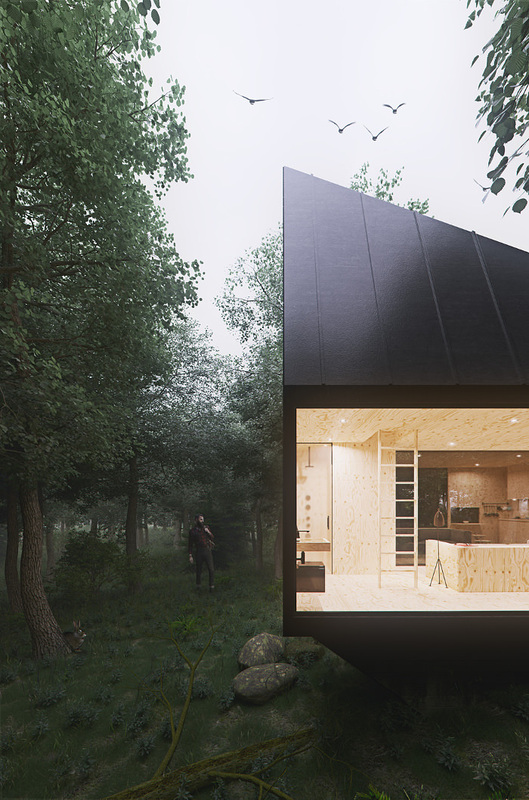 They came up with a flexible design for a recreational getaway. 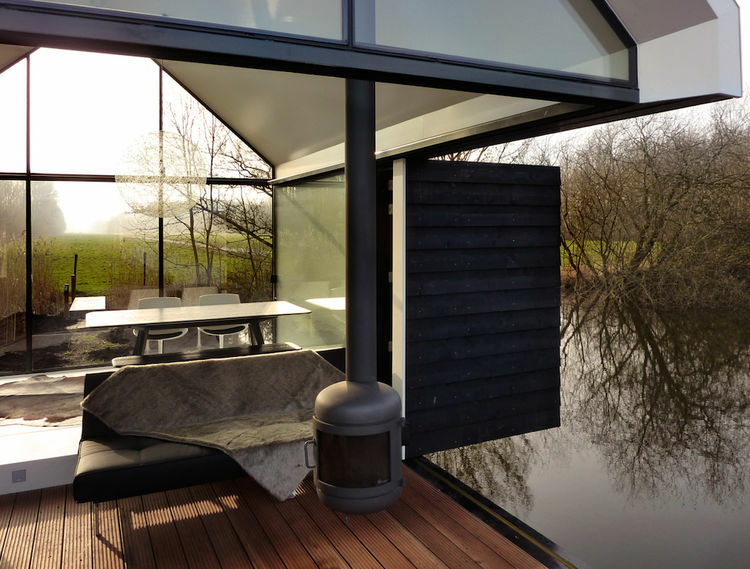 Everything inside the cabin responds to the needs of the client who wanted this structure to naturally and peacefully integrate with the surroundings and the views over the lake. 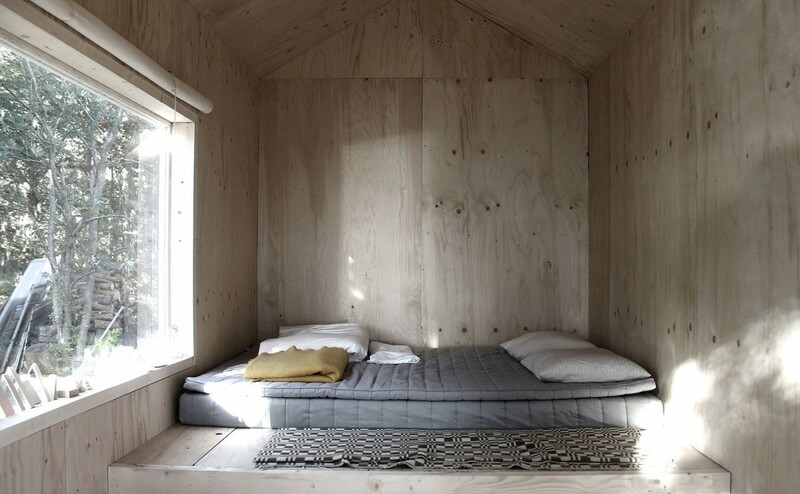 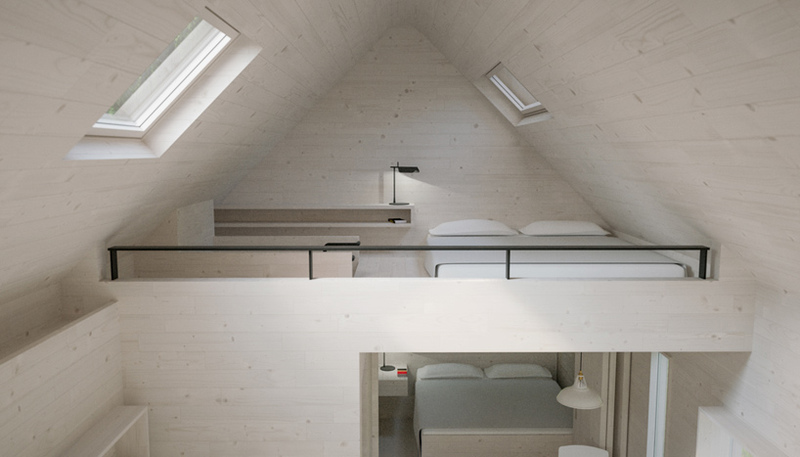 On the island of Trosso, Sweden, Paris studio Septembre designed a lovely wooden cabin with a bedroom, a sauna and tons of other charming features. 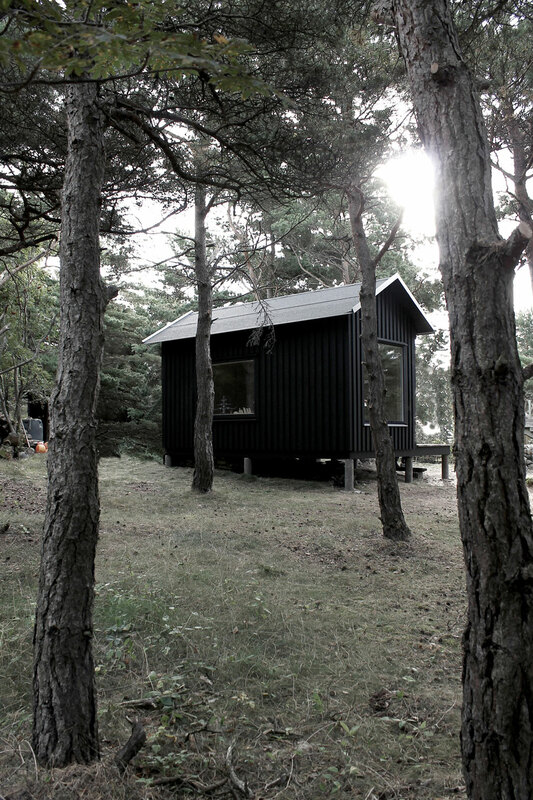 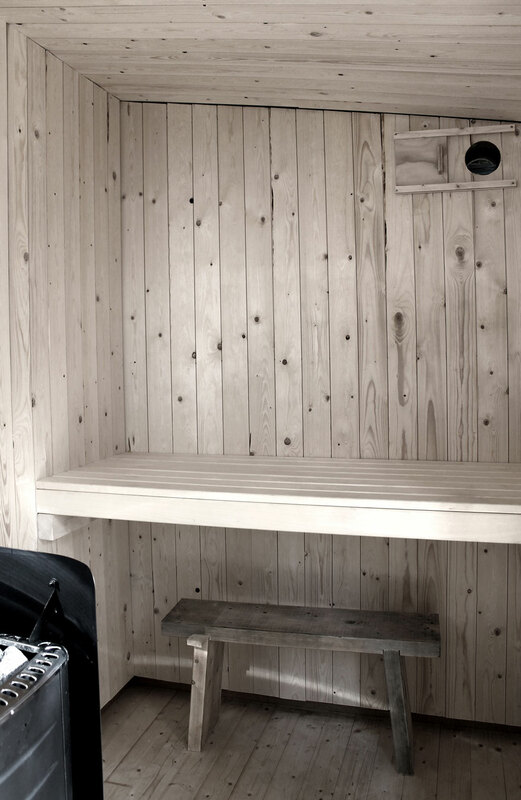 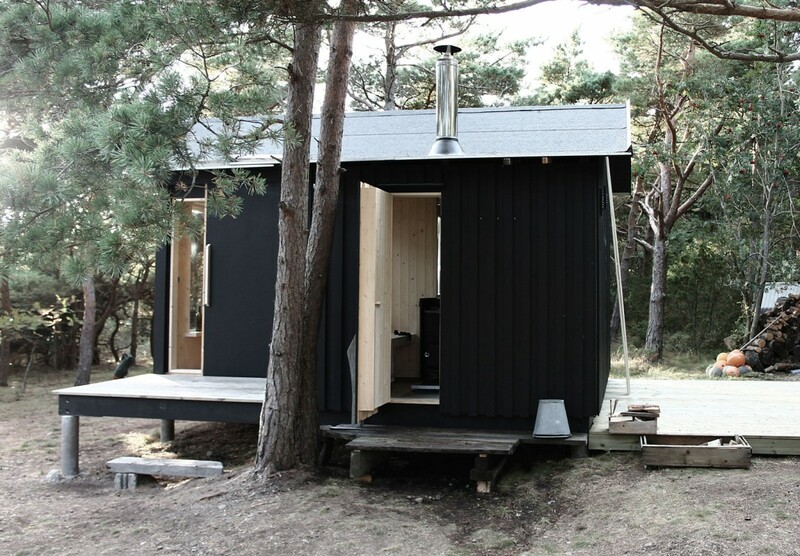 The cabin is situated in a clearing only 50 meters from the North Sea from where the views are simply gorgeous. 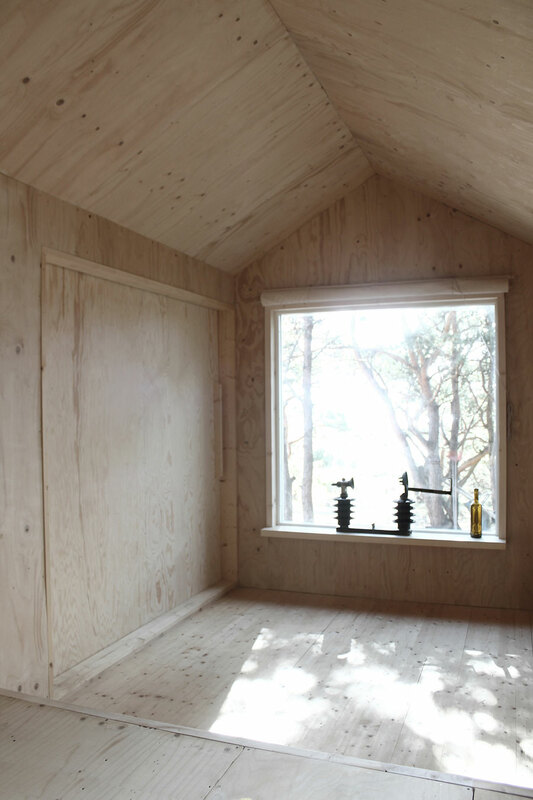 The tiny houses floor plans are simple and the clients wanted the structure to have minimal impact on the surroundings so no trees would be cut down. 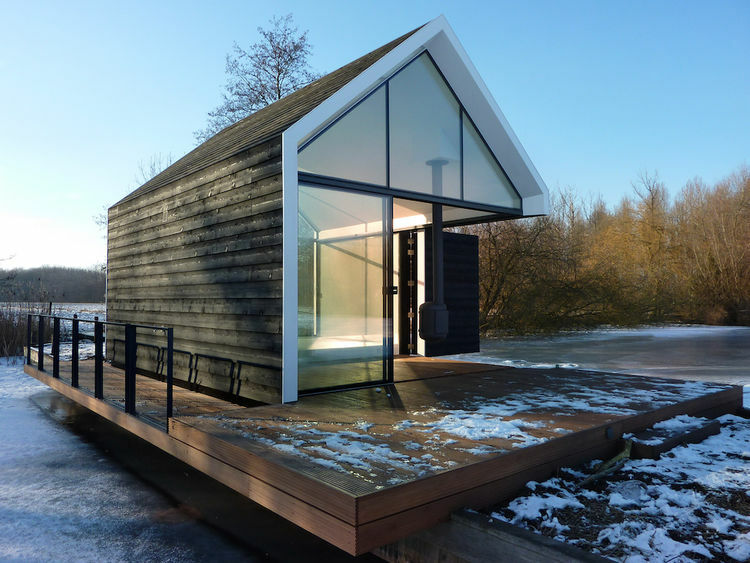 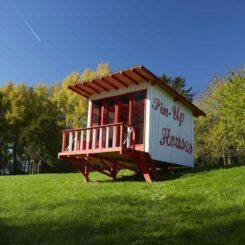 Maxon Architects developed a series of cabins meant to be placed in remote and unusual locations across the united kingdom. 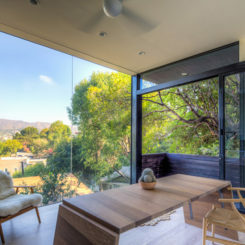 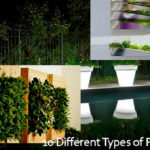 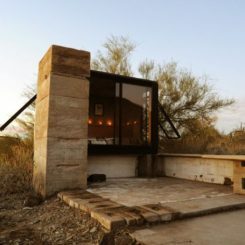 These structures are meant to reconnect their occupants with nature and they can be easily relocated. 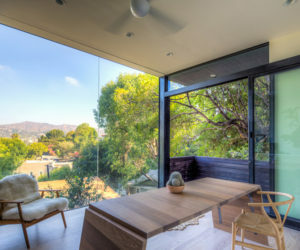 The interiors are inviting and comfortable and strategically placed openings let in natural light while also maintaining privacy. 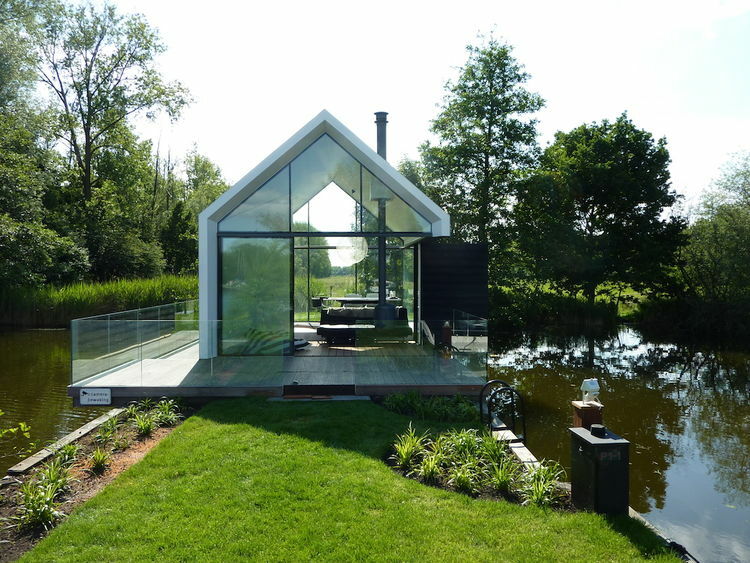 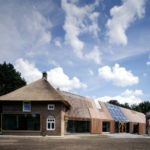 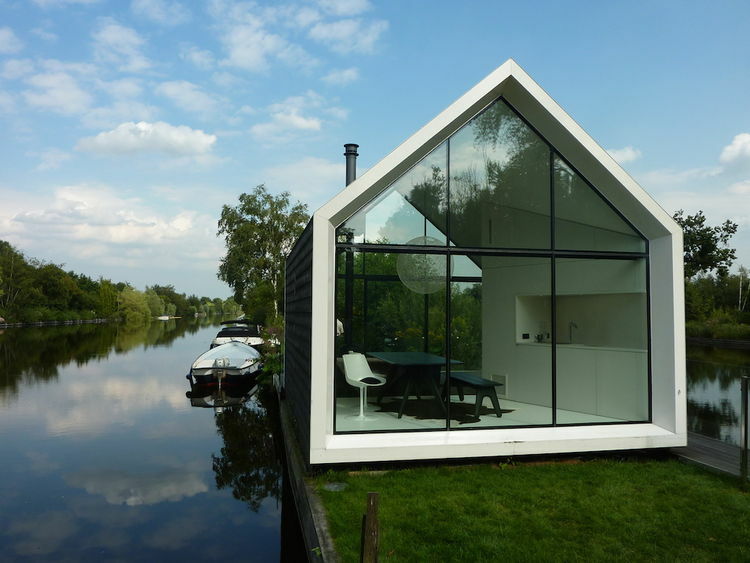 This 225 sq ft recreational home is located in the Dutch countryside with really beautiful and relaxing views. 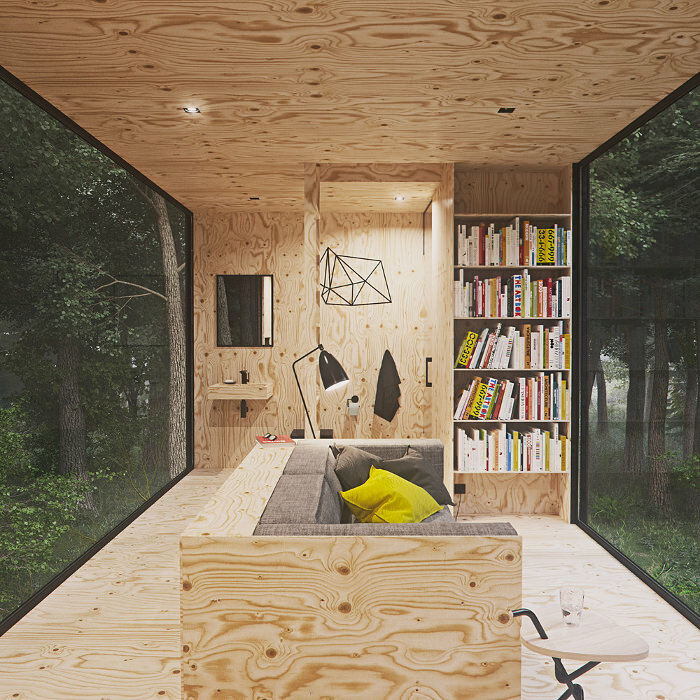 The modular cabin has a slide-out side wall and several parallel glass walls that open the interior to the outdoors and the views. 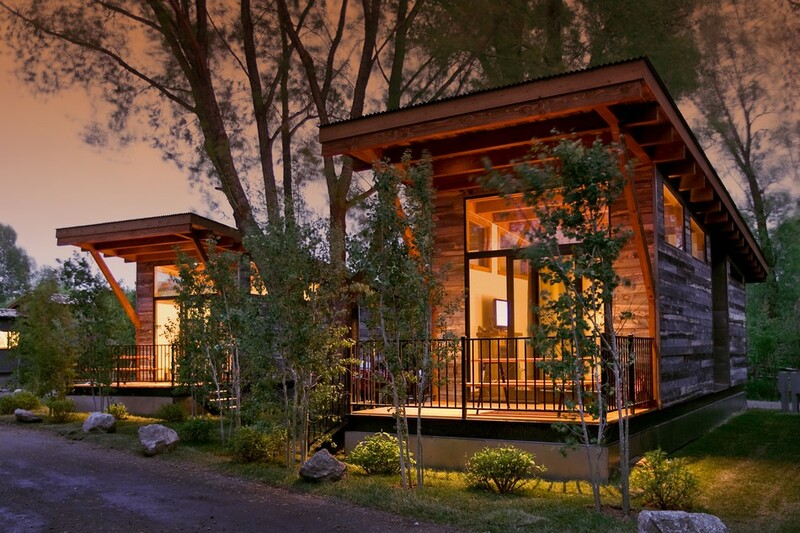 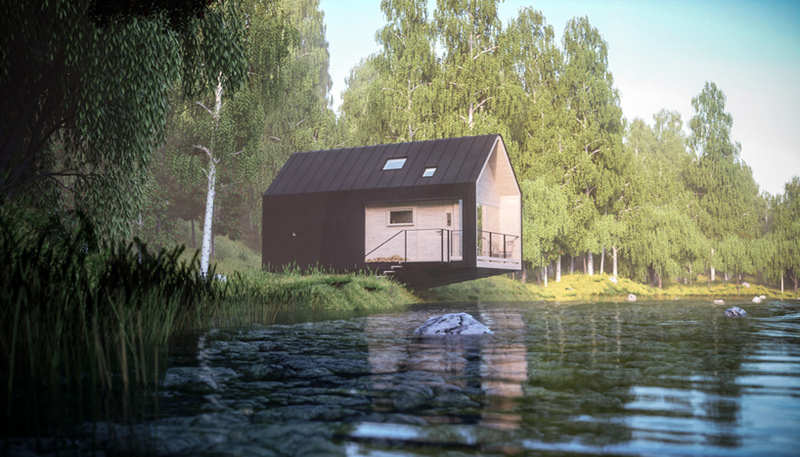 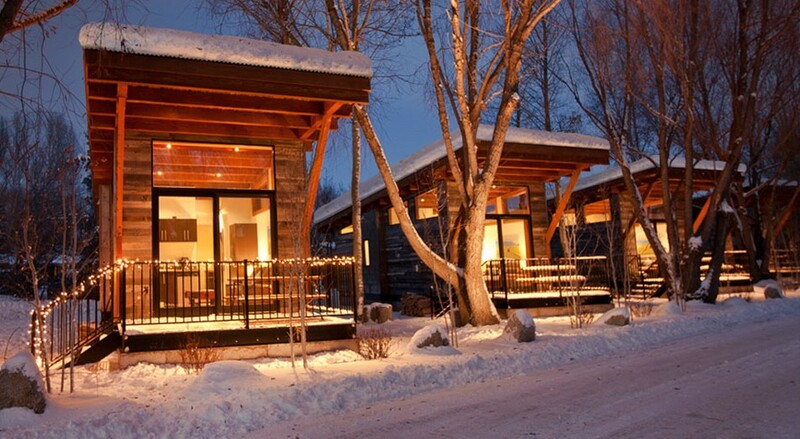 The retreat can be utilized year-round and its modular cabin design inspired a series of other prototypes which allow clients to customize their own beautiful getaway cabin. 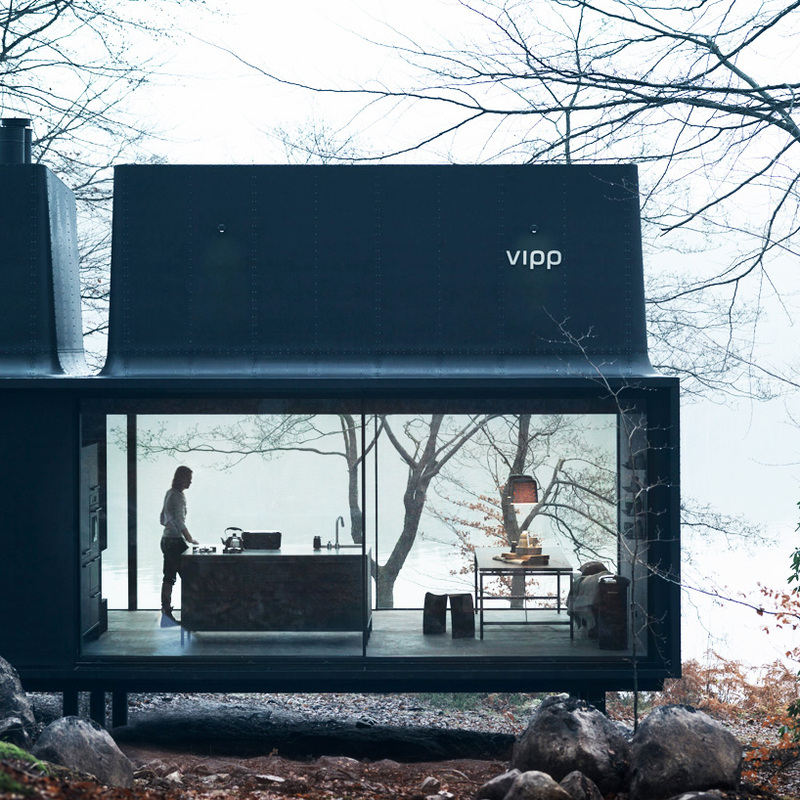 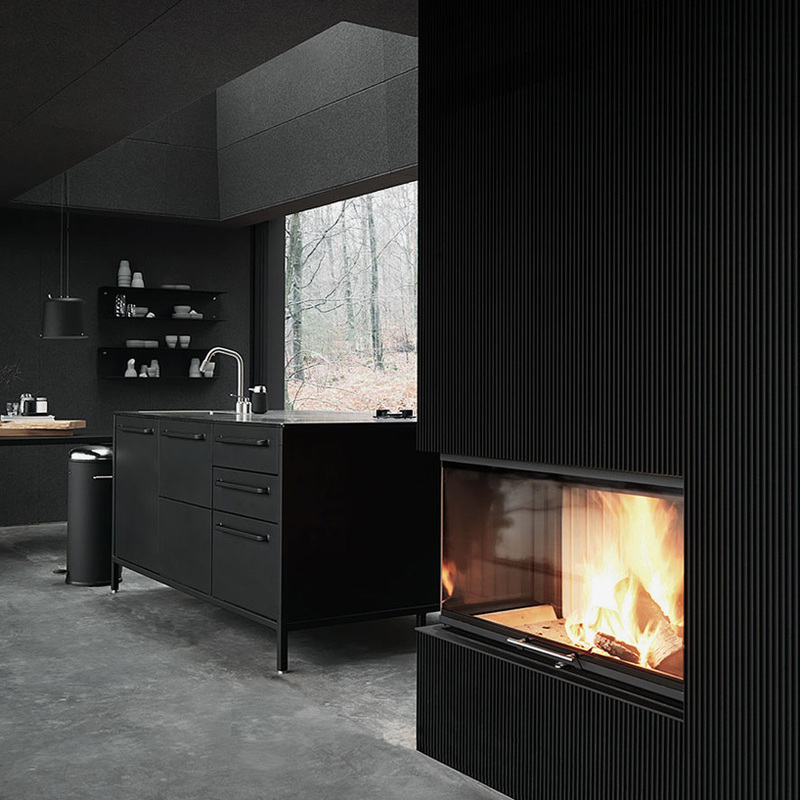 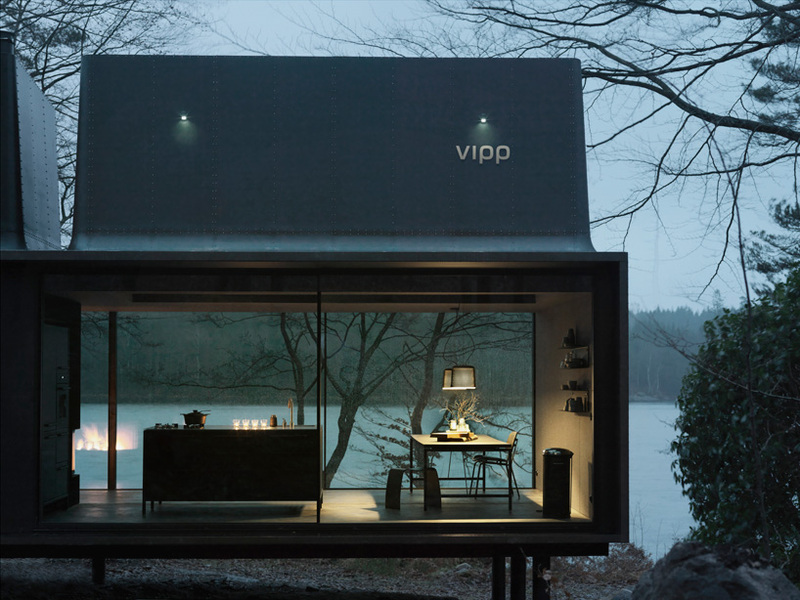 The Vipp Shelter is a two-level getaway cabin with a flexible design and a surface of 55 square meters. 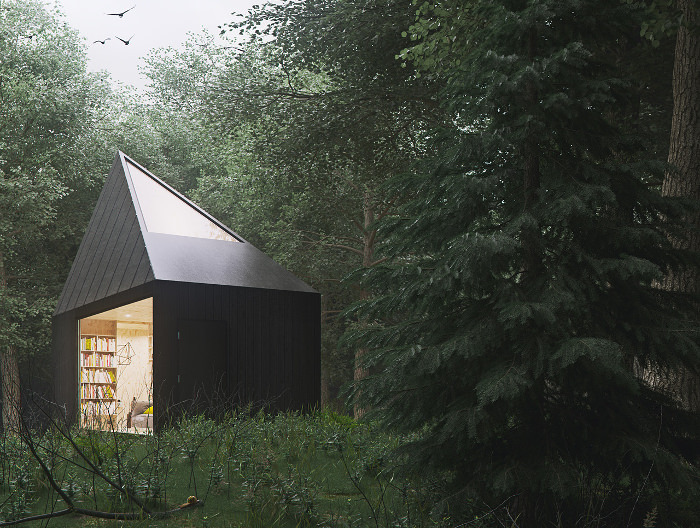 It features a simple grid structure which elevates it above the woodland floor. 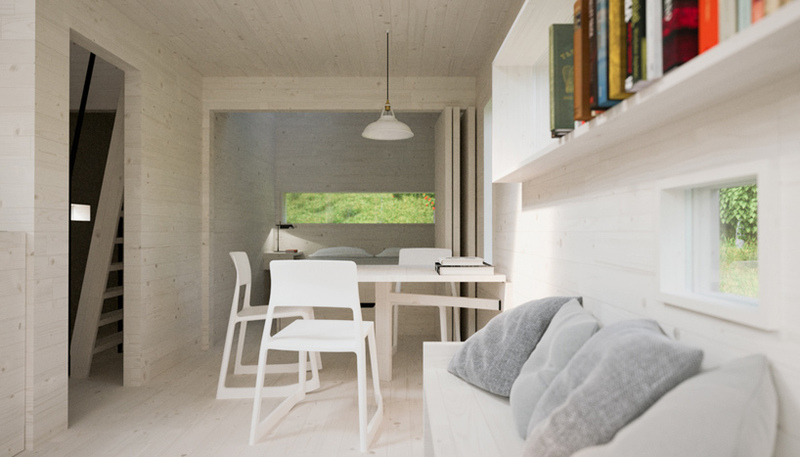 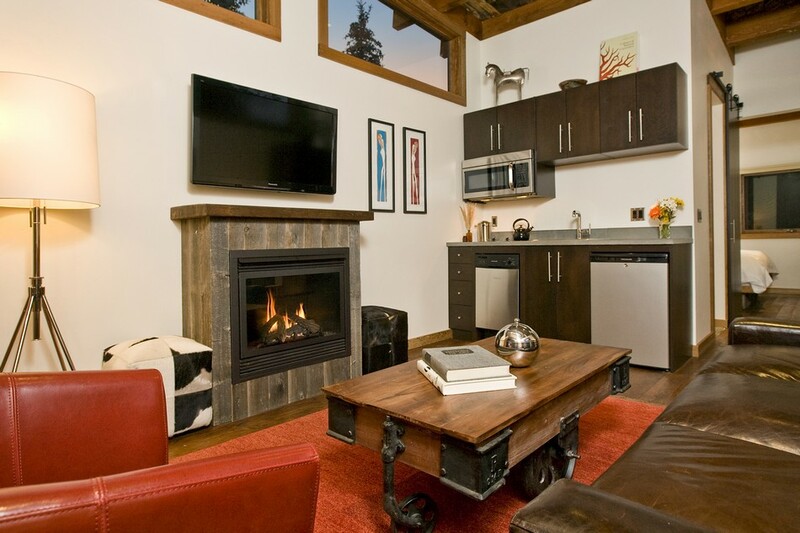 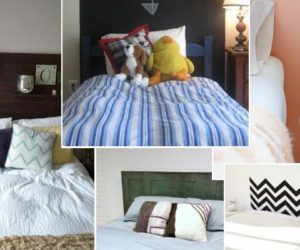 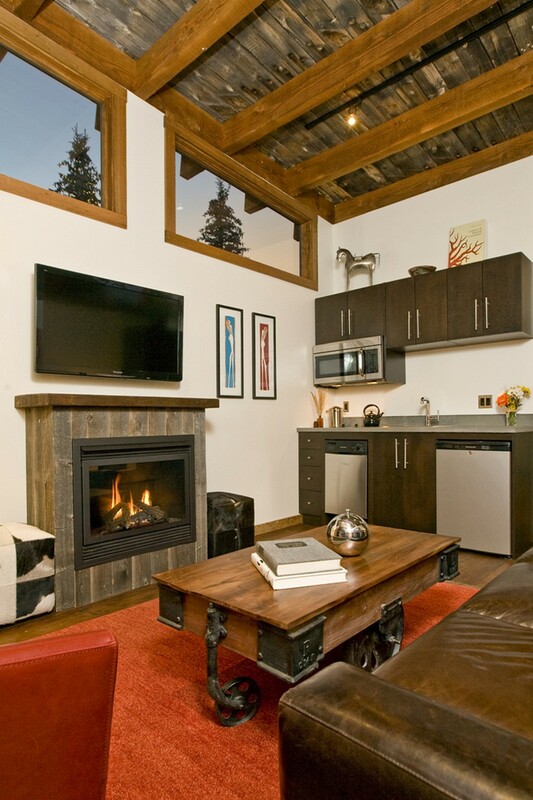 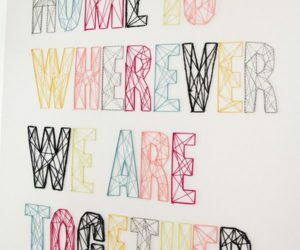 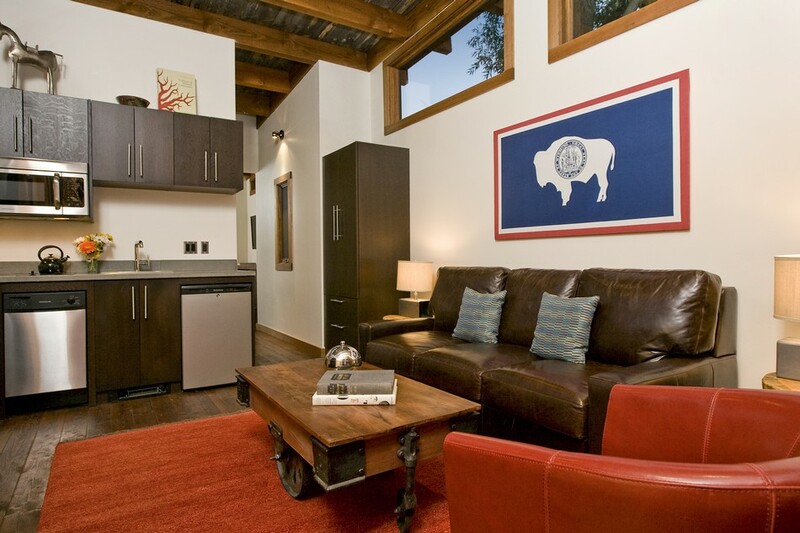 Inside, the cabin was furnished and decorated with the company’s products. 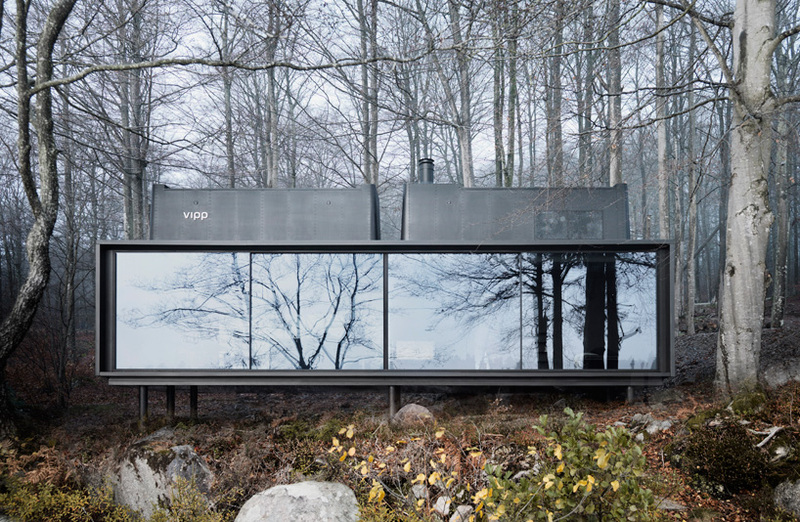 The designers describe this as a hybrid structure which is not a house nor a mobile home but something completely different and with a strong sense of identity.